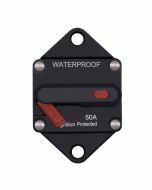 Product Function: With overload, short circuit and under voltage protection, it has the ability to protect lines and power supplies. 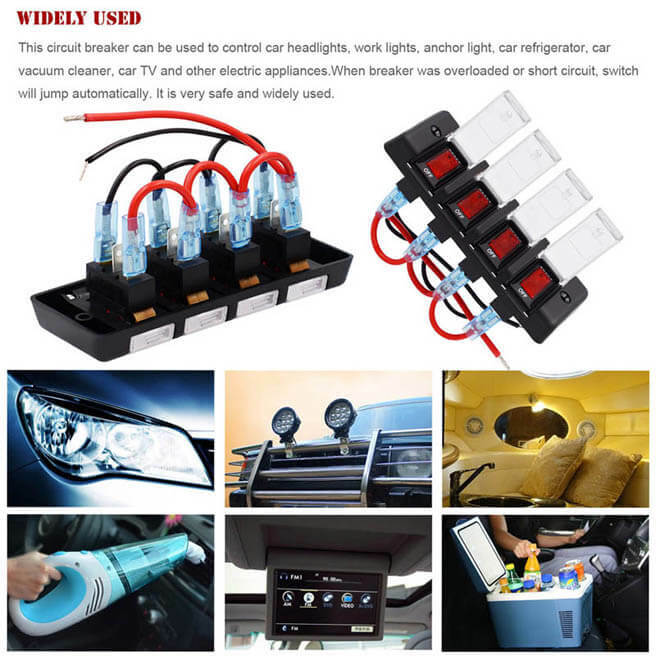 It can be installed in small car, off-road vehicle, sports car, SUV, bus, boat, yacht and other transportation tools. 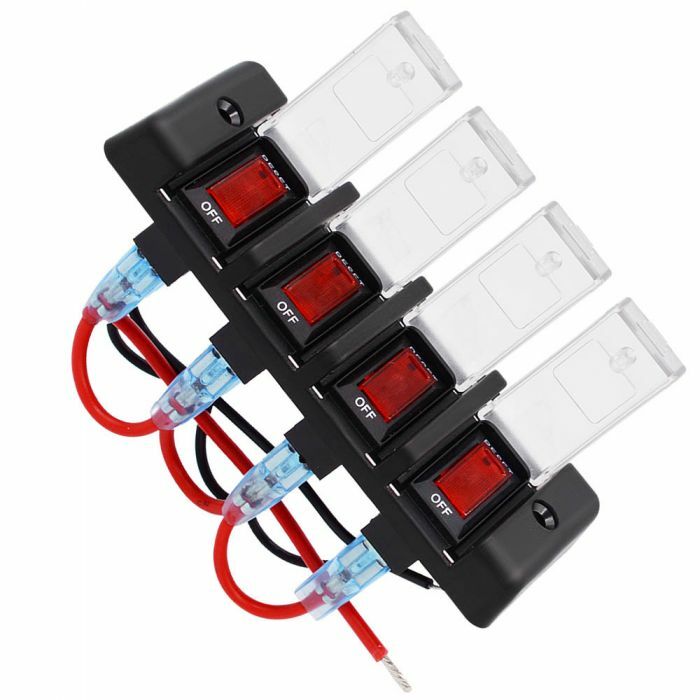 Can be used to control car headlights, work lights, anchor lights, car refrigerators, car vacuum cleaners, car TVs and other electrical appliances. 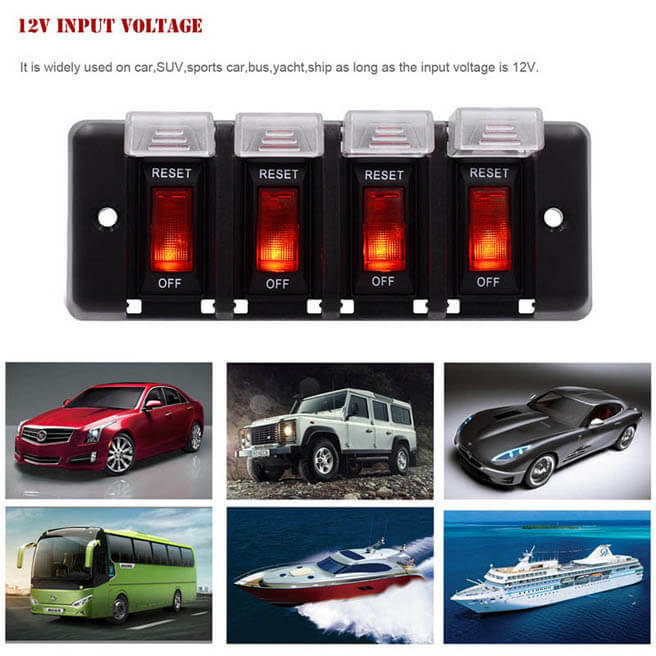 The input voltage of this circuit breaker is DC12V, which can be used in small car, off-road, SUV, yacht, boat and other transportation tools. 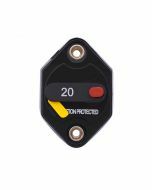 The breaker has overload, short circuit and under voltage protection functions to protect the safety of the line and power supply. 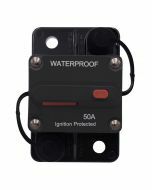 This circuit breaker has a waterproof and dustproof cover design to prevent water and dust from entering the switch, causing corrosion to the switch and longer service life. 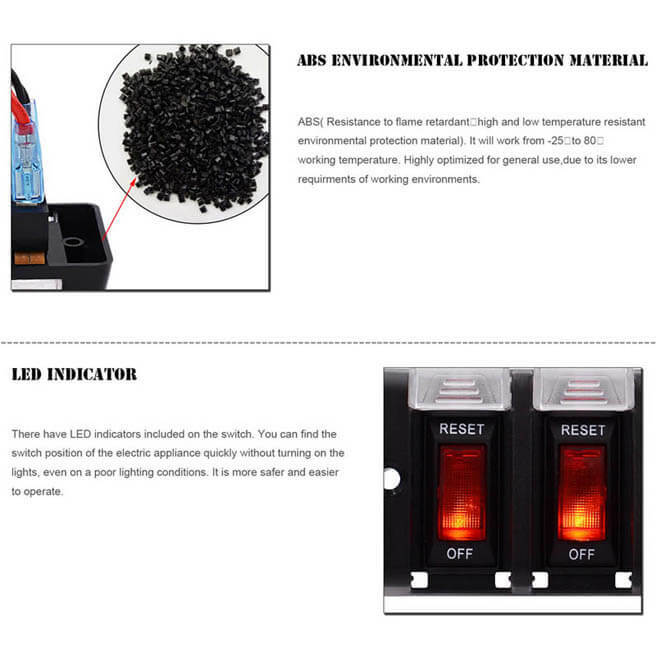 The circuit breaker is built with LED light. 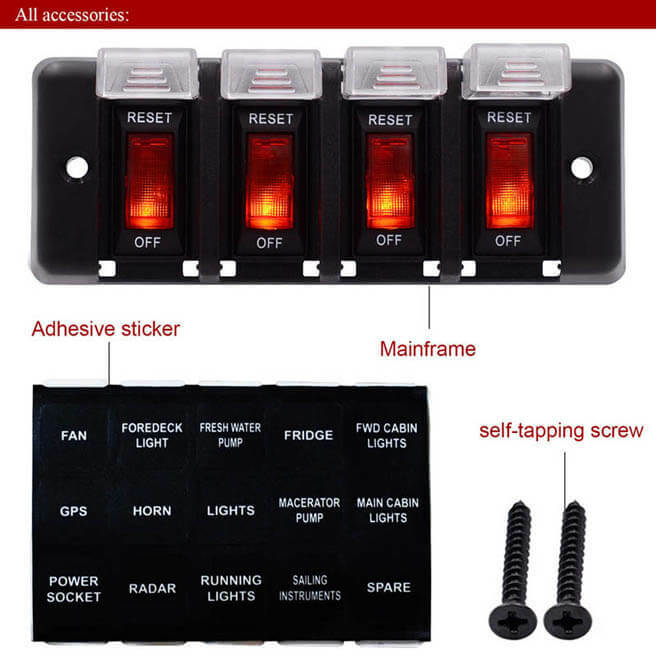 In the boat with poor lighting conditions, the switch can be quickly found, which is very convenient. This panel is made of ABS/PC, flame retardant, high and low temperature resistant, environmental friendly material. 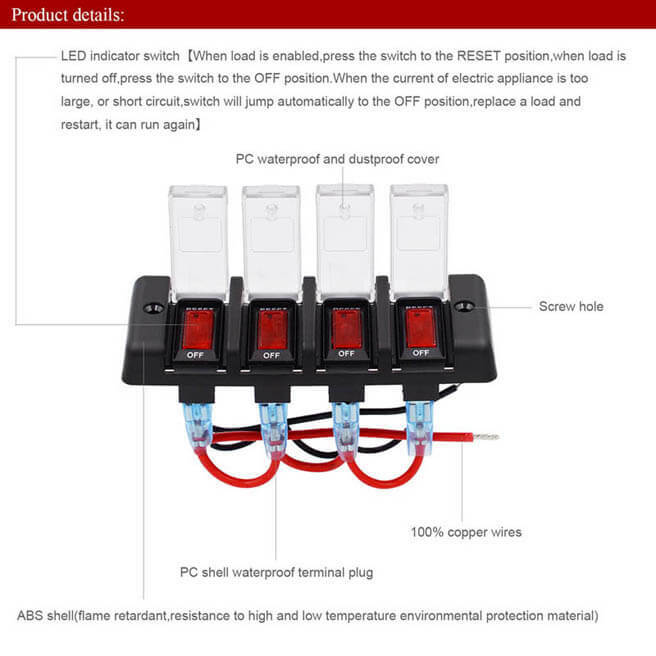 Before the circuit breaker being shipped from the factory, most of its terminals already connected inside, leaving only the positive and negative poles. 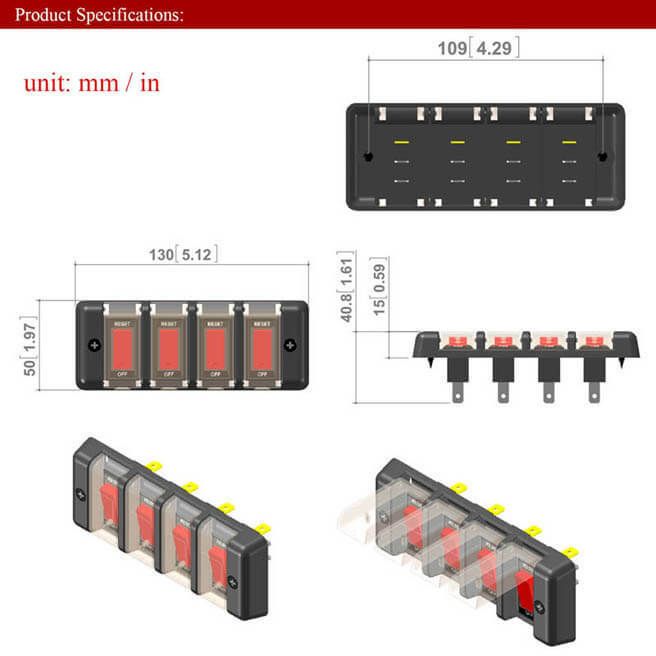 when you receiving the panel, you just need to connect your positive wire to the positive terminal and another to the negative terminal. 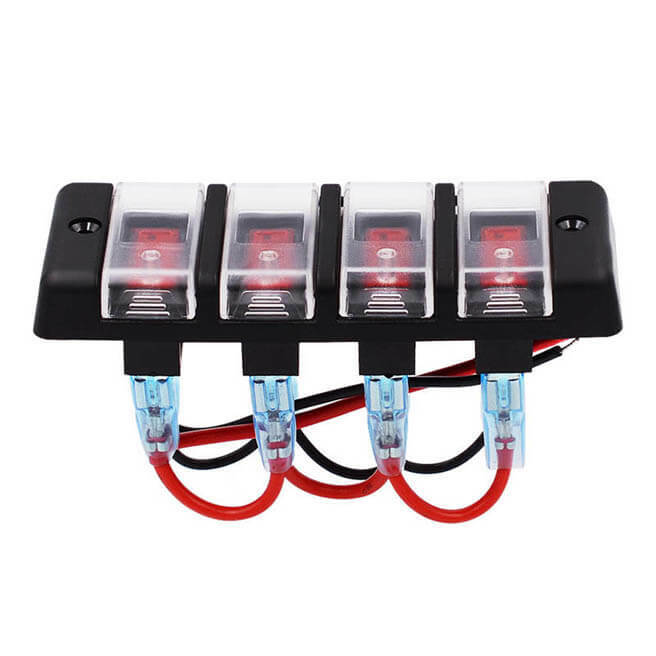 It is easy for you to install this circuit breaker. 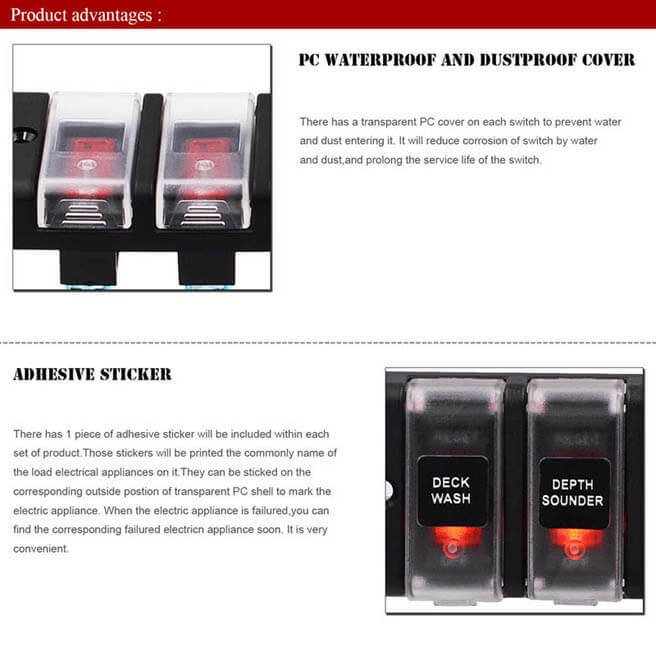 There are stickers for the name of the commonly used electrical appliance. 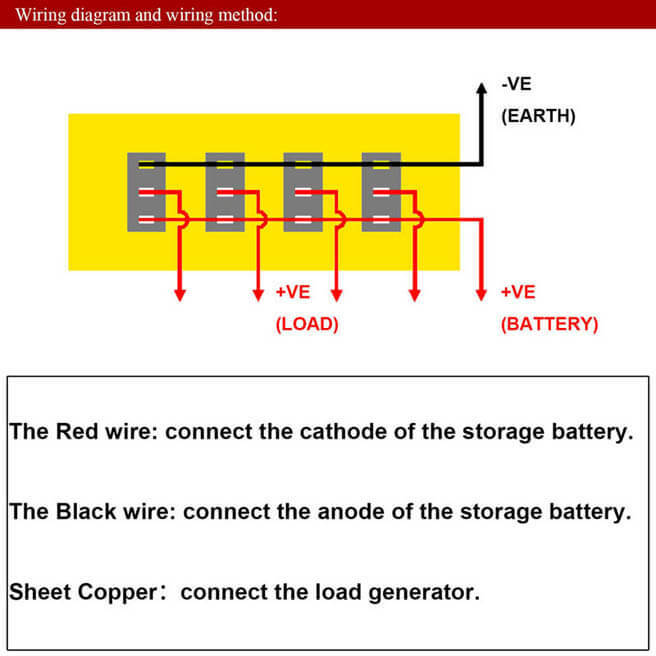 When the circuit breaker is connected to the load, the corresponding load name can be stick to the protective cover.